Beautiful custom built home in the wonderful community of Villa De Charlevoix!! Home features dramatic vaulted tongue and groove ceilings with skylights, stone inlaid gas fireplace with built ins, newly remodeled main level bath, 2 main level bedrooms - 1 with access to backyard, main floor laundry, 2 car attached heated garage with ample storage and an additional lovely designed shed that is cohesive with the design of home on property for additional storage. The Master Bedroom is its own retreat on the upper level which includes a large walk in closet (4 x 14.8) and an attached room just off the closet, set up at one time as an office which is wired for cable but now used as extra sleep space for the grandchildren. Large Master bath has a jacuzzi tub with a large picture window above it where you can relax while taking in nature`s beauty and wildlife. Bath has separate shower as well. Easy attic access in Master for even more storage. The surrounding yard is overflowing with gardens and has Dyer Creek on the property which consists of two lots. Villa de Charlevoix has some of the nicest beach front on all of the lake approximately 604 ft. - as an owner you will also have access to it`s beach clubhouse with restrooms, there is a swim dock and private boat launch. Currently all 36 boat slips are taken but an owner may be added to the association`s wait list. 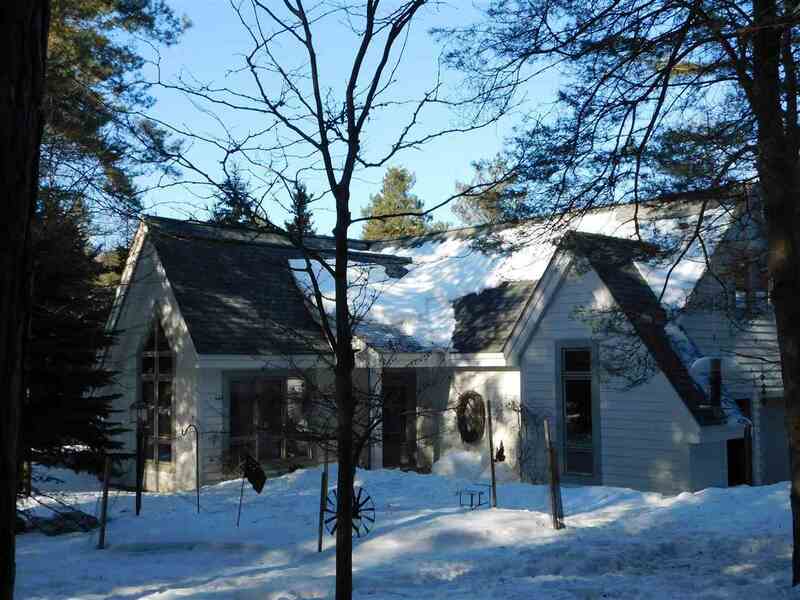 Make this home your year round residence or make it your up north getaway - it will work in either case!! Call for your tour today!! !